We offer an outstanding selection of Labrador Retriever Puppies for sale. We have been breeding AKC Labrador Retriever Puppies since 1962. 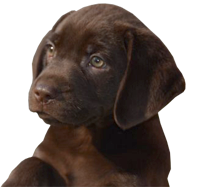 All of our breeding Labrador Retriever dogs are genetically tested and are from Champion Labrador Retriever Bloodlines. The parents live with us and are located on our premises. Sportsman's Kennels is located on a six acre facility, in the middle of the Long Island Pine Barrens. An easy commute from New York City, Westchester, New Jersey, and Connecticut we are only 15 minutes from the Bridgeport Ferry and 45 minutes from the Orient Point Ferry. Sportsman’s Kennels is located on a six acre facility, in the middle of the Long Island Pine Barrens. An easy commute from New York City, Westchester, New Jersey, Connecticut and Rhode Island, we are only 15 minutes from the Bridgeport Ferry and 45 minutes from the New London Ferry and Orient Point Ferry. If you are interested in purchasing a Labrador Retriever puppy, please give us a call at (631) 727-3550 or use our contact form.